Email has evolved into a serious business tool. It has come under intense scrutiny in today’s legal landscape, resulting in some regulatory safeguards for certain industries. New U.S. federal e-discovery rules went into effect on December 1, 2006, making it critical for companies and professionals to protect themselves and enhance accountability for their important outbound email. In addition, landmark cases such as Lorraine v Markel (May 2007) have brought the issue of admissibility of email evidence into light and prompted courts to define a set of stringent new standards for email evidence. 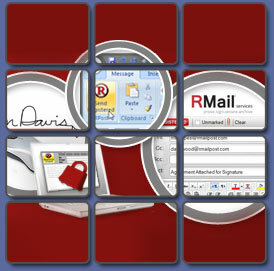 RPost’s Registered Email® service is an important safeguard against legal liability associated with e-discovery and email message disputes. Unlike the common ‘read receipt’, it protects you and your organization with legally verifiable proof that your email was delivered, with an official time stamp, and legally verifiable proof of the content sent and received, including attachments. The proof is in the form of a Registered Receipt™ email which contains a digital snapshot of the entire email transaction and can be self-authenticated at any time should an aspect of your original message be called into question. RPost has now made Registered E-Mail available to self storage operators. Go to www.RPost.com/selfstorage to learn more about the benefits of Registered E-mail for your self storage business.